Drexel’s LeBow College of Business was ranked eighth in the nation for providing the greatest opportunity for minority students in the Princeton Review’s annual ranking of top business schools. LeBow was ranked among schools such as Harvard and Howard universities. The College was also listed as one of the top 294 business schools in the country. These rankings are based on data reported by business colleges as well as the feedback from student surveys taken by over 25,000 business students across the country during academic years from 2013 to 2016. Students provided feedback on the racial and ethnic diversity of their fellow students, available resources for minority students and the culture of student support within the college. “This is a wonderful affirmation of what we are doing, but this is an initiative we must continue to focus on,” said LeBow Dean Frank Linnehan. LeBow is committed to the value of inclusion and developing an educational community based on respect and the free exchange of ideas. At the center of this commitment are six areas in which the college has focused its initiatives. These include referring students to available university resources, providing faculty and staff development opportunities, supporting culturally focused student organizations and ensuring college practices support the value of inclusion. One of the most successful initiatives within the college is the BRIDGE program. Created in 2012, BRIDGE is a business learning community that supports underrepresented students by fostering a sense of belonging, engagement and empowerment. The program boasts a 92 percent persistence rate with the first class of participants set to graduate in June 2017. Additionally, the college hosts industry panel discussions, called Pressure Points, that focus on the value of inclusion and diversity in the business setting. The first panel of this series brought executives from Comcast to discuss the value of diversity, how they provide support to their employees and how they create an inclusive environment in the company. The LeBow community represents a diverse student and faculty population from around the world. Thirty percent of LeBow faculty identify as a member of an underrepresented minority, and students in the college represent 135 different countries. For the full list of rankings, visit the Princeton Review. The first graduating class of the LeBow BRIDGE program will graduate in June. The College recognized 23 students at a special ceremony on May 13. Find out more about LeBow’s efforts to support Drexel’s initiatives in fostering understanding and respect by intentionally infusing diversity and inclusion into our work. 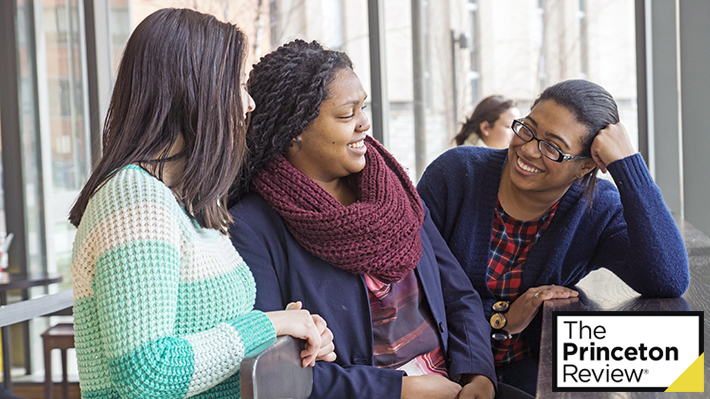 A learning community created to support underrepresented students and their success at Drexel and as professionals. Drexel LeBow’s past Dean Frank Linnehan is joined by Brian Ellis to discuss initiatives that serve the College’s principles of diversity and inclusion.